Say what you like about Arnold Schwarzenegger, but he’s a man of his word. After years of telling us he’d be back, he’s come back (even after a brief dalliance in politics) – albeit in a range of increasingly terrible movies. The latest on the list of increasingly terrible movies is Sabotage, in which Arnie plays…ah, what’s the point? You know the drill by now; Arnie plays a muscle-bound dude who shoots loads of people. There was a time, though, when Arnie was legitimately the coolest guy on the planet. He was once a one-man wisecracking machine, delivering more classic quotes than a classic car showroom holding a 50% off sale. Arnie chucks a pipe at a guy, the guy gets impaled on a pressurised tank and steam emits from said pipe. Arnie then delivers a line so perfect that even poor ol’ Bennett probably chuckled (between cries of agony). What do you do if you’ve just been on a mind-bending trip to Mars, come home, and found out your wife is a secret agent who wants you dead? Shoot her in the face and crack out a brilliant one-liner, of course! This is Arnie at his vintage best. Jingle All The Way isn’t considered one of the classics in the Schwarzenegger canon (or anyone else’s canon, for that matter), but it does have some classic lines (most of which are in the video above). Our favourite is this desperate plea to the mothers’ of the children he was just trying to steal a bouncy ball from in a ball pit; it captures the Austrian Oak at his most vulnerable, unable to come up with a one-liner and bereft of a gun with which to shoot people. Also, the way he says pervert is really, really funny. Now, this isn’t strictly a one-liner, but it is incredibly funny. We can’t really repeat the second half of the quote on the blog, but we implore you to watch the above video (if you’re old enough!) – it’ll make your day 100% better. Oh, and just so you’re aware; this is the only good bit of The 6th Day. Don’t bother watching the rest. Well, because, it just had to be in this post, didn’t it? It’s not just one of the best Arnie quotes, but one of the best action movie quotes per se. Epic stuff. Weirdly, Arnie’s most iconic quote doesn’t actually include any words – just a single, unique sound that the big man emits whenever he’s in stress. Rolling down a hill? Duaaaa-argh! Fighting a villain? Duaaaaaa-argh! Trying to control a class full of children? Duaaaaa-argh! No list of Arnie quotes would be complete without this line from the world’s greatest movie, Terminator 2: Judgement Day. Batman and Robin is considered to be the worst Batman movie of them all, although your opinion on it will generally depend on how you feel about Arnold Schwarzenegger spouting puns about ice and snow for an hour and a half. As Mr. Freeze, Arnie commits some of the worst pun crimes known to man, all in his trademark Austrian accent. Genius/terrible (delete as applicable). 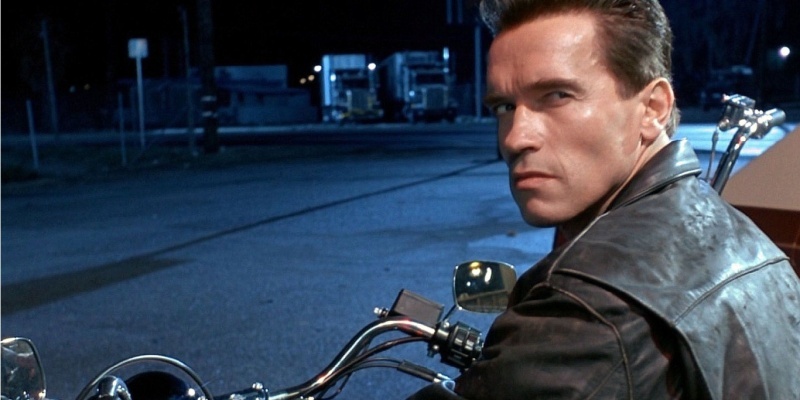 What are your favourite Arnie one-liners? Let us know in the comments, on Facebook or on Twitter! And don’t forget, if you ever get tired of the big man, you can always sell your Schwarzenegger DVDs and Blu-Rays with musicMagpie!